Our main campus is located in North Orange County, in the city of Fullerton (known as the "Education Community,") California, and hosts all undergraduate residential programs. 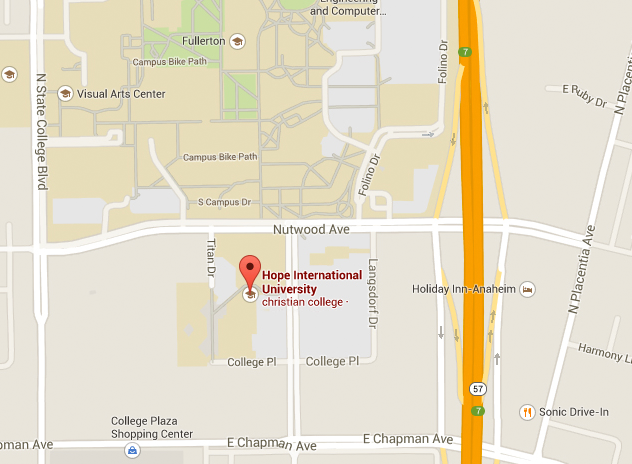 The campus is easily accessible, just west of the 57 freeway between Chapman and Nutwood Avenues. 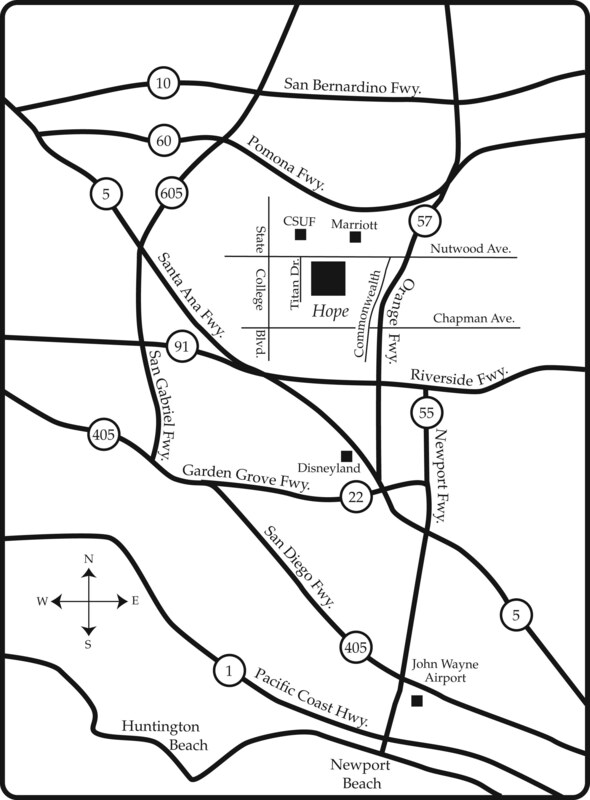 You can find a map of the Orange County area here.